It should be “a Field Notes is a…” instead of “a Field Note…”. Or it could be “one Field Notes book”, isn’t it? 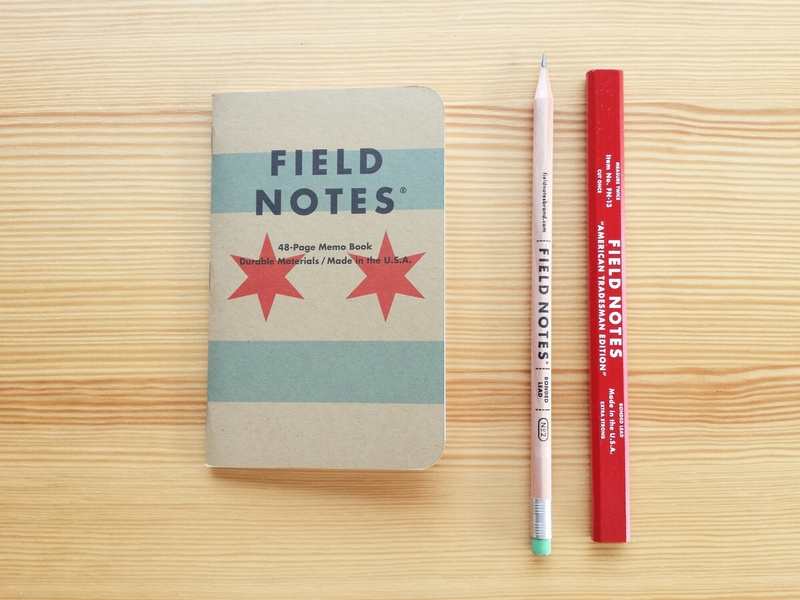 Field Notes is a brand name. I think that whether or not Field Notes fits in your pockets fit into your pants pockets really depends on the brands you wear. I certainly have some women’s dress pants that they do fit into. However, there are many women’s pants that they won’t . However, they do fit into all of my women’s suit jacket pockets as well as coat pockets. I don’t see the size as being masculine or feminine. Many people, myself included use them with a cover to reduce tears or damage. The number of pages is conducive to being used for about 4 weeks- or a month. Which I find helps me to organize my planning for work and formerly school. What I gathered from the rest of your post is that this size and number of pages just isn’t for you. You write about how there aren’t enough pages and how the format is too tall and narrow for you uses. Labeling the notebooks as masculine due to their size undermines these points. I could see if you said that you found the design to be masculine, or their marketing, or some other aspect, but size?There are certainly other brands of pocket notebooks that I think have a masculine marketing slant, Field Notes isn’t one of them. If anything I see their marketing as a deep exploration of how much they enjoy printing techniques, having fun with what they do, and a sense of happiness. 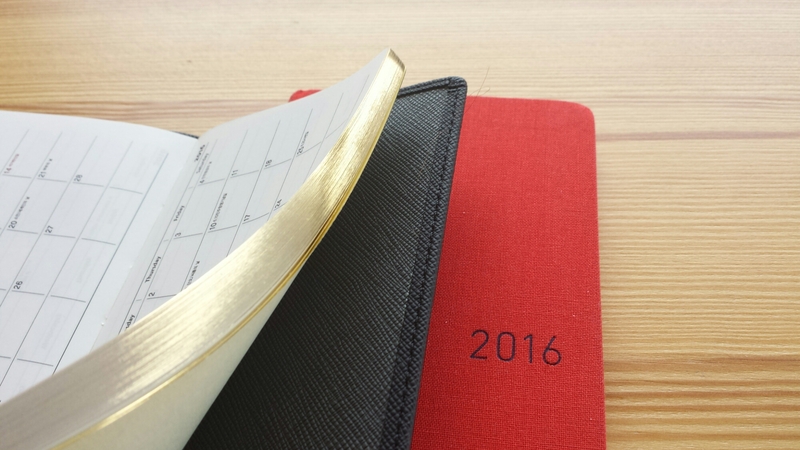 I’m not exactly a huge Field Notes fan, but I’m a fan of the pocket notebook size of 3.5×5.5 inches. It is a size that works for me, and when I wear pants that they don’t fit into, i toss them in my bag. They aren’t going to get dinged up too badly in the time it takes me to fill one. P.S. I would also be very interested in knowing whether there are more men using Field Notes than women (I’ve always assumed that the market for these small notebooks was mainly focused on women, but maybe that’s not true?) – are there any people crunching these kind of numbers? hehe. No feathers ruffled, just some deep thoughts sparked. Here in the US, $9.99 is pretty much the price for a 3-pack of pocket notebooks, I agree that it seems high. A brand with much better paper- Story Supply Company has the same # of pages (which seems to be the standard here in the US, perhaps a manufacturing limit?) but is much thicker and substantial due to a heavier weight cover and paper. Allow US based Furrow books has a thicker cover stock and better paper, but 48 pages, again is thicker due to heavier cover and paper. Furrow specifically went after a paper that was fountain pen friendly because the owner is a FP user. On the flip side, Curnow Books Back Pocket Journals are filled with 48 pages of Tomoe River paper, which is super thin, and the notebooks feel insubstantial to me, frail even. 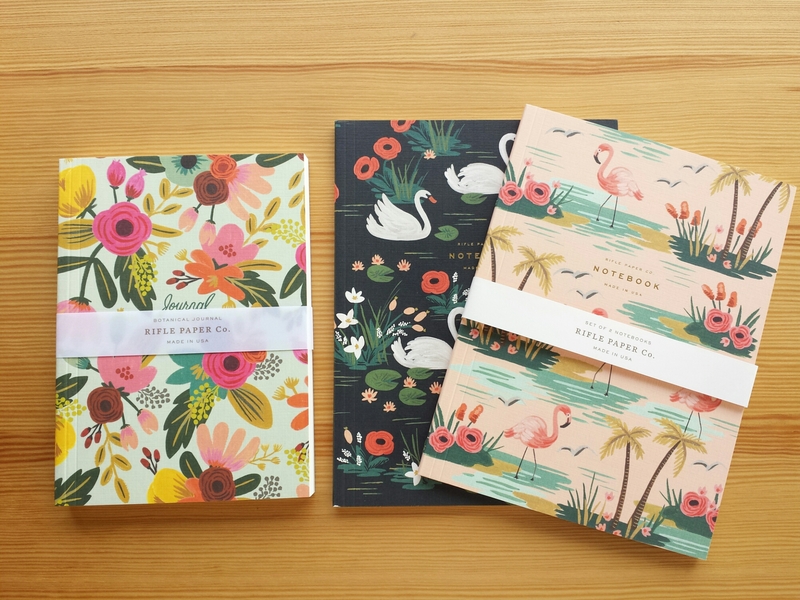 With any of these notebooks I’m not sure I pay too much attention to the narrative. When I started to use pocket notebooks it was with the Moleskine Volant and I used them for work- I used them specifically to track my work flow and to keep track of my to do list. For awhile I even made my own pocket notebooks. Once I had some spare pocket money and less time I started to buy them. The narrative was less important that being able to stuff a notebook into my pocket while at work. If I were to track my notebook use it would be 3×5 spiral notebook, Moleskine Volant, handmade pocket notebooks, hardcover moleskines, back to small tin pocket notebooks (handmade), then to any brand of pocket notebooks… For me I buy them for the form factor. IN regards to your PS. 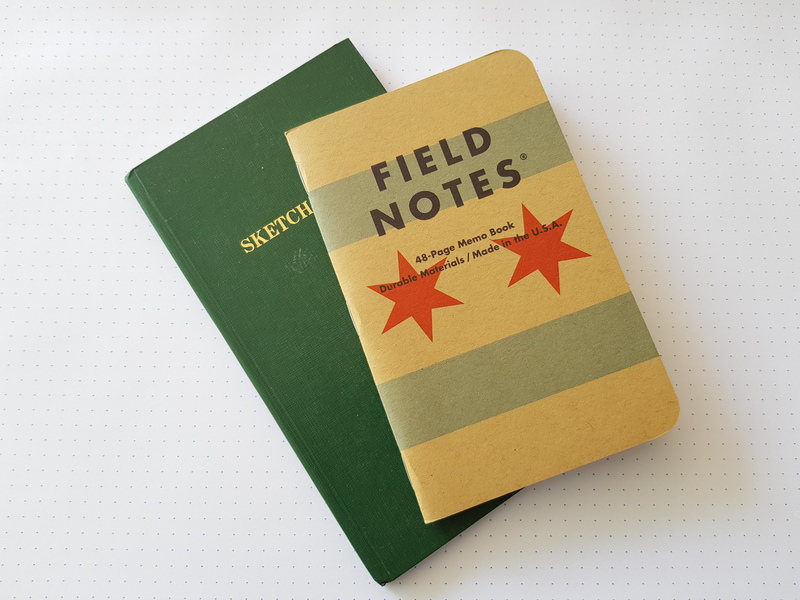 I read in your about page that you aren’t on FB, there is a group called Field Nuts- essentially a group of collectors and users of Field Notes notebooks. Initially I’d say the group was about 75% men, and as time went on I’d say it is about 50/50, but with men being the more vocal members of the group. (i’m not longer in the group too much testosterone for me and a lot of collecting weirdness.) Often times little notebooks like these are marketed as “men’s goods.” Word notebooks recently had a marketing campaign in which they tagged many of their instagram photos with “mensgoods.” Which just seemed so… Dumb to me. First off it alienates half their market, and tags their product with something that it inherently is without the need to be tagged. This kind of gender based marketing and viewing of products is fascinating to me and I could probably spend all day reading and writing about it. So I’ll stop here. Leslie, wow, I didn’t know there were all these interesting notebook manufacturers out there! And one that uses Tomoe River Paper even! They all seem to be more or less the same size as the Field Notes; I remember reading somewhere that FN pioneered the trend for small pocket notebooks, I wonder if they were the first to make softcover notebooks of this particular size or if they were just the first to become widely known. This format seems to be very portable indeed and I would prefer them too to ones like the Volant. When I first joined a pen forum I was sure it was going to be more than half women, because I instinctively associated the act of writing (and in colored ink, no less) more with women than men, but boy was I wrong! The collector’s instinct is definitely lodged on a Y chromosome. Pocket notebooks have been around for much much longer than Field Notes, even FN points out their their Brand is modeled after old Feed and Seed giveaway advertising notebooks. Perhaps they made them attractive or more mainstream among stationery users? There is something to be said about their fun colors and patterning.I think the Moleskine Cahiers came out before FN. Also, in the early days of Etsy, and even eBay there was a market for notebooks similarly sized to Field Notes. There is a whole subsection of fancy hand stitched pocket notebooks that bookbinders use to showcase their skills. Yes, I was aware that vintage “originals” existed, but it is interesting to know that other modern, commercial offerings were available before FN came along. They definitely popularized it I think (again, the power of design!). Personally, I think that FN saw the popularity of the Moleskine cahier (and hand made versions)and capitalized upon it and tweaked it just enough to make it their own. Similar to what Moleskine did with their marketing and the “moleskine” notebook- which was a generic pocket notebook with waterproof oil cloth covers using a butterfly or smythe stitch binding. All moleskine did was trademark capital M Moleskine and write some nice ad copy about famous authors using them, when they had never infact used the modern notebook, rather the generic handmade version. I wonder how much of the sizing is Asia and Europe has to do with the standardized A and B paper sizing that the US refuses to use? and how much of that is related to how the various countries write as well as the tools they use to write? As for your question re: paper sizes, I in turn am wondering whether the 3.5×5.5 inch size confers any advantage when cutting the paper. 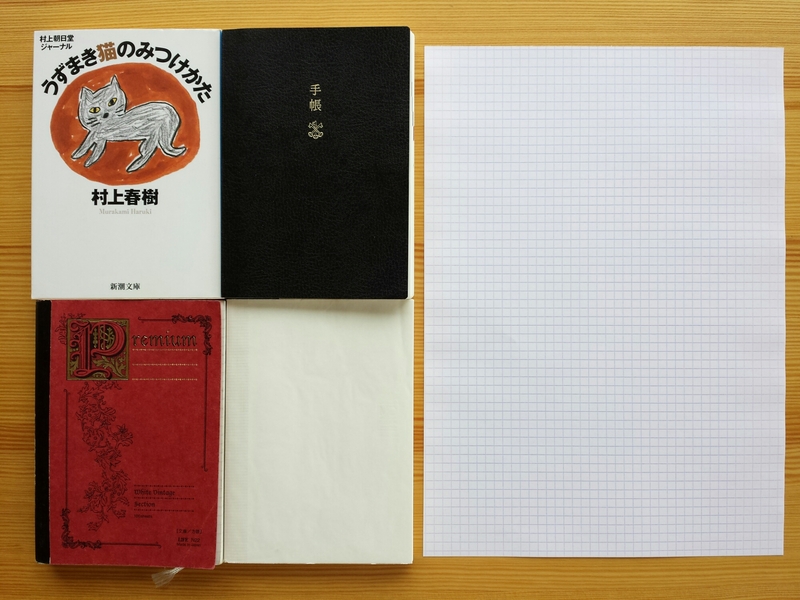 Also, I’ve noticed subtle differences in size between the Asian and European A6 notebooks; the pages of a Habana notebook are smaller because they are designed to fit snugly inside the hard cover, whereas Japanese notebook pages are of the same size as the soft cover. The edges being flush with the cover is also another characteristic of the bunkobon. That’s the weird thing with US paper sizes, nothing we do is standardized. You fold an 8.5×11 sheet of paper and you get 5.5×8.5, some companies make notebooks in that size, but generally you’ll find notebooks that are either 6×9 inches or 5.5×7.75 inches. Some companies, like Staples make their Arc refills in half letter size because they know a lot of their customers cut letter size in half. 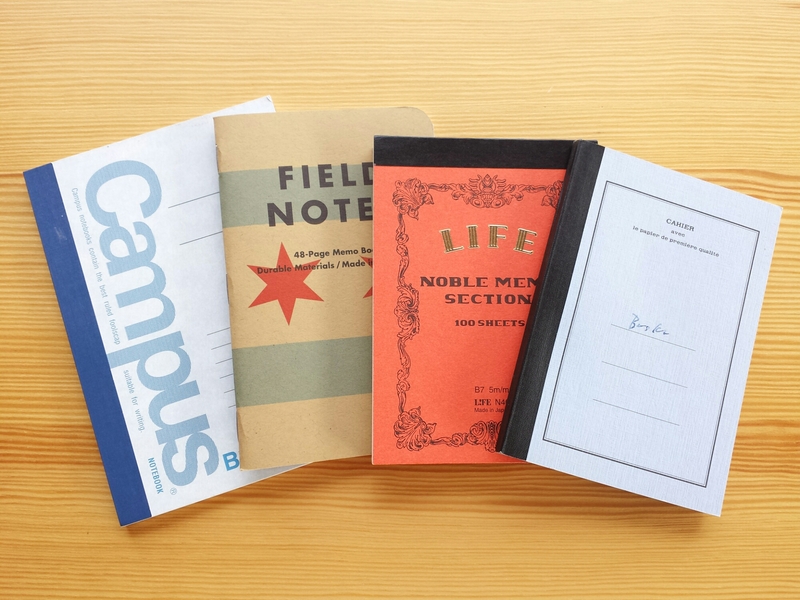 Composition notebooks are 7.5×9.5 inches. the only places I’ve seen that cater to half letter size here in the States is Staples and Target. Both place sell 3 ring binders for half letter size paper. I think that some of this hearkens back to all the different manufacturers producing all of their own notebooks- you’d find some companies making a size just a little different from their competition. Some things are a standard size seemingly out of convention- composition notebooks are always about 7.5×9.5 inches. pocket sized ranges from 3×5 inches up to 4×6. and then typical spiral bound school notebooks are all similarly sized, legal pads are all similar sizes. This a hypothesis but I suspect that some of standard sizing came about because companies want their paper inserts to fit into covers- legal pads need to be able to fit into the covers attorneys use, and notebook paper once torn out of a notebook needs to fit into a 3 ring binder. Same with school paper. I remember that back in the day my school used to get reams of lined paper- some of it was 8×10, which doesn’t fit well into a binder and some of it was 7×9. Now that schools no longer buy much paper and parents are expected to provide it makes sense for the manufacturers to get on board with standard sizing. If a kid can’t fit it into their backpack or their binder, it’s not going to get sold. The pleasure is all mine, Leslie! You know, when I’m working on one of these posts, there is always a moment when I wonder whether all this isn’t pure drivel – but I am so glad I put it up, I learned so much from your comments. I never even realized that the Volant notebooks were the same size as these; I used quite a few Moleskines in my time but they were all either smaller or larger, so I never had the impression that any of them were as “tall” as an FN. Oh my so many interesting topics here, I don’t know where to begin! Or if I have anything insightful to add. But first of all, woo hoo, Field Notes! I’m in it too deep, so it was refreshing to hear your thoughts on it. I definitely wouldn’t have guessed the dimensions to be what struck you the most. Something I haven’t had to think about in awhile, since I’ve already accepted it for what it is :) I remember noting how small they were when I first got FNs but what struck me as unique was how thin they were, just bound by staples, and of course the design. I don’t know how they decided on 3.5″ x 5.5″ but it’s interesting to note the original FN (made by designer Aaron Draplin with Gocco!!) has a different ratio (see https://www.instagram.com/p/fNrdzBgubo/) All I know is that Draplin handmade some FNs because he didn’t like any sketchbooks out there and gave some to his friends as (promotional?) gifts. And I’d like to think that that origin story explains the number of pages (and the graph grid). As for pricing, I agree FNs don’t give you the best of value per page. But maybe that’s why they’re bundled as 3-packs? I’ll never know for sure how they arrived at the current combination of the dimensions/# of pages/3 per pack, so I’m only speculating. But it fits their narrative well: FNs are meant to be pocketable (not too many pages) and utilitarian (not precious or irreplaceable). And based on my experience, I can tell you I have a lot more male followers on Instagram and Twitter than females. Very unscientific survey, since I can only go by people’s avatars and names ^_^;; But it’s been changing lately, I think. I see more and more people using Field Notes in conjunction with their Midori TNs.. I can also tell you that many boutiques I’ve come across that sell FNs as accessories are often geared towards men. I guess it’s no coincidence, since FNs have that rugged, no-frills appeal. About marketing overseas: I wondered the same thing, Sola! I know FN talked about China, and they’re in Japan already.. but I always wondered how the Japanese consumers view Field Notes. I know some boutiques carry FNs in Korea as well. Have you seen them there? Jinnie, thank you for the wealth of information. I’m starting to think that the value of the comments far outweighs the original post ;) and thank you for taking my unorthodox observations in stride! I haven’t seen any FNs in the wild in Korea (but then I didn’t visit that many shops when I was back, in February), but as far as I can see they are available in one or two online shops. The markup is pretty severe. If I were in Korea I would certainly try some for the novelty, but it would definitely cost if I were to keep the habit. 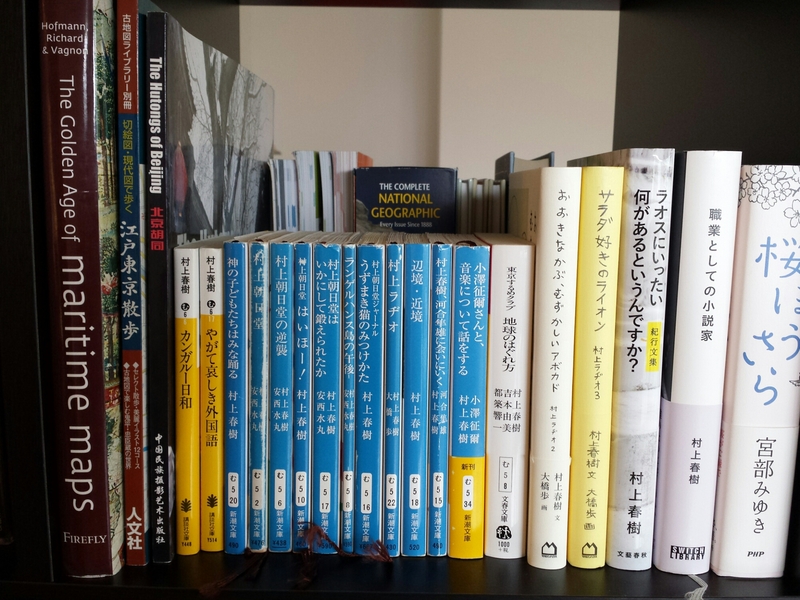 As for marketing, I’ve found an introductory article in Japanese by the stationery journalist Tadashi Tsuchihashi, and it is mostly about its origins too. I wonder how FNs are doing in Japan. One and a half year late. In Japan, the Field Note (野帳) format seems to be standardized by the government. If Kokuyo’s site is to be believed, the Japanese government set standard for land survey work in post-war era, including the field note used to record the results. It’s set at 160 x 91mm (20mm longer than the American FN) with hard cover to use while standing. Seika, thank you for the very interesting details! I actually have one “Sketch Book” from this Kokuyo Survey Field Notes series and had no idea what it was for up till now. It is indeed slightly bigger than an American Field Note. In bookstore, not much exotic kinds. 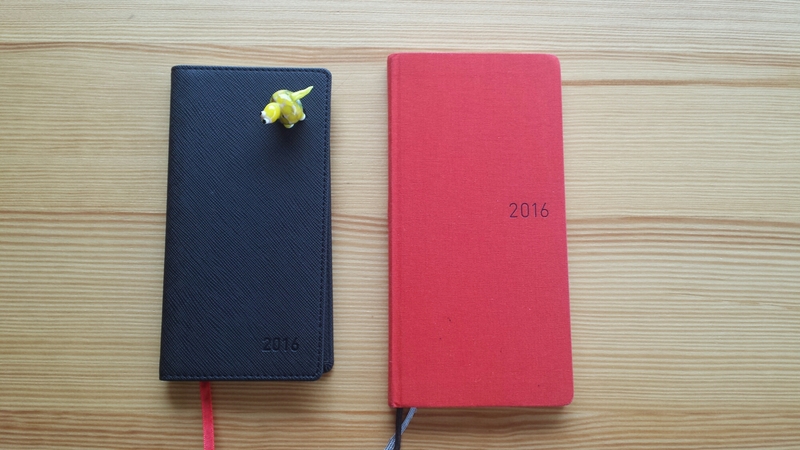 There are local distributor for Kokuyo (and Mitsubishi), Moleskine. Other books I saw in larger bookstore like Kinokuniya are Fashionaries and Singapore’s (Granluxe, if I remember correctly), as well as Chinese and local brands. But brands like Rhodia have to be imported, or from online small business. We don’t have Rhodia here either (or Moleskine, or Kokuyo for that matter); we need to appreciate them more when they are around! Indonesia is I think a major supplier of pencil woods and pulp, as is South America (mostly Brazil, and Uruguay too). I hope to visit the Kinokuniya in Singapore someday, it sounds interesting. What a great discussion prompted by your post (I thought I was a geek, but I’m afraid I could only eavesdrop and not contribute at that level of geeking)! Most of the stationery bloggers I read are westerners, so it’s interesting to hear your perspective.